Know someone that would like to join Cub Scouts? Invite them to our annual Fall Round-Up Pack meeting for fun and games. 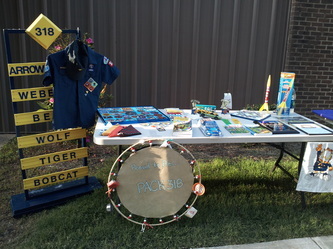 While a child can join scouting at anytime during the year, the Pack event is designed to introduce them to scouting. In addition, an information table staffed by our membership committee will be set up to answer all of your questions. Parents are invited to learn more about the adventures of scouting. We will have lots of fun things to do and share some of the scouting activities we do. A scout that introduces another boy to scouting can earn the prestigious Recruiter Patch! See attached PDF for more details.